It’s no secret that consuming alcohol can become an addiction for some people. Why is that, exactly? Take a look at these articles that discuss the science behind alcohol and other drug addictions! Educate yourself about the dangers that alcohol can create in your life! Rethink the drink! Even though it’s a little bit past the half-year point, we here at Rethink the Drink want to encourage you to reassess any resolutions you made at the beginning of the year, or perhaps make some new resolutions! Resolutions can be very helpful for those looking to make lifestyle changes. If you are a minor or adult and you’ve made an unhealthy habit of abusing alcohol, it’s never too late to embrace sobriety! For inspiration on living an alcohol-free lifestyle, check out our Recovery Board on our Pinterest Page! If you don’t abuse alcohol, perhaps you want to live a healthier lifestyle in general. Make a goal of exercising or eating healthier. Perhaps you want to be a better friend and support your community in making healthy lifestyle decisions. Whatever the case, why not sit down and make five mid-year resolutions? Share some of your ideas in our comments section! We’ve mentioned Powdered Alcohol (nicknamed “Palcohol”) on the blog before, but there is some new information available that will be of interest to conscientious teens, parents, and responsible adults. Here are links to the articles! Share them and make sure you and your peers are aware of the dangerous effects of this increasingly popular form of alcohol consumption. Adults: Show Your Pledge to Prevent Alcohol Abuse! Rethinking the drink isn’t just for underage folks. If you’re an adult, you have a responsibility to model appropriate drinking behaviors for your younger peers, children, and friends. 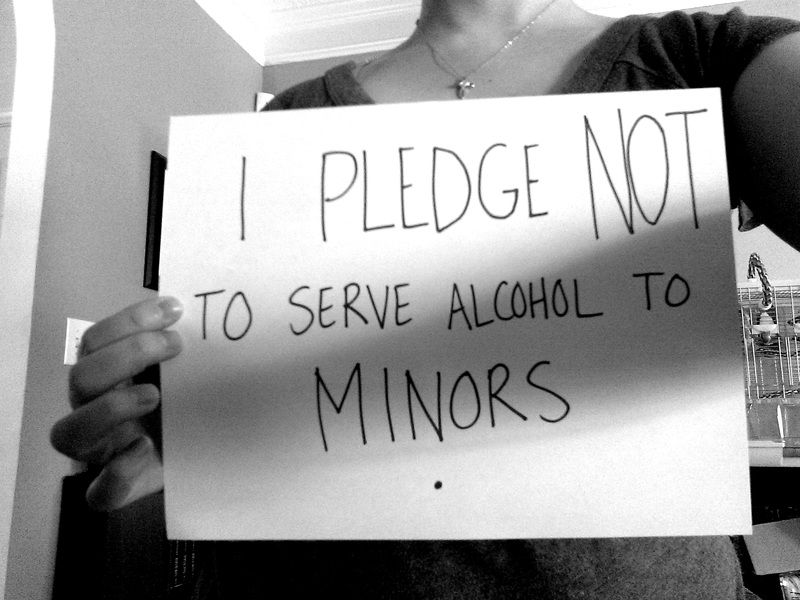 Show us your pledge to prevent alcohol abuse among minors by creating a sign like the one above, capturing it in an Instagram picture, and tagging it with the hashtag: #PreventAlcoholAbuse. Please also tag us in your Instagram post: @rethinkthedrink. Your support helps us to spread the word about our positive message and to encourage others to participate in healthy choices regarding alcohol. Thanks so much! 1. Go for a run. — Exercise is a great way to release “happy chemicals” in your body. Endorphins are released with exercise and your mood is guaranteed to improve. Run with friends for a social outlet that can also contribute positively to your health. 2. Grab coffee with your buds and take a nice morning walk. — Spend time getting to know your friends by taking an early morning walk through a new area of your city or a trail. 3. Play an outdoor game together! — There are all sorts of fun games that can be played outside in the sunshine! Pick something everybody loves and get your blood pumping. 4. Volunteer in your community. — Find a service opportunity that will help you and your friends give back to your community! 5. Take a swim! — Swimming is a great summer social activity. Head to the local pool or one at a friend’s house and burn some calories while you have a great time. 6. Learn a new skill. — Always wanted to learn Zumba or proper weight lifting form? Take a class with friends and learn a new skill (even if it’s something like cooking)! 7. Visit a new place. — Punch in a new destination in your GPS and head off on an adventure to discover a new place! 8. Read a book. — Reading develops so many mental skills and it is a great way to take a mini-escape during the day (not to mention can provide you with an opportunity for quiet in the midst of this very busy and loud world in which we live). 9. Host a gaming tournament. — Love to play cooperative multi-player games? Break one out at a get-together and create brackets so that your friends can compete with their mad gaming skills! 10. Brush up on neglected hobbies. Love to play the guitar or knit? Want to write that novel or make that short film? Use the time you would have spent partying and get to work on strengthening those hobbies! Hopefully we’ve given you some great alternatives to wasting time abusing alcohol! Rethink the drink and get out there and enjoy (and actually remember) your summer! A new study says alcohol is still one of the leading causes of premature death in the United States. It is our hope that over the Fourth of July weekend, you and your friends made wise choices for your health. If you are underage, you should avoid alcohol altogether. If you are an adult of legal drinking age, model appropriate, responsible behavior with alcohol. Read this study and share it with your friends. Don’t become a statistic!